Many mobile operators give full or extra talktime benefits of us with top ups. If you recharge your mobile for get talktime at first you know your benefit from which top up then you recharge. 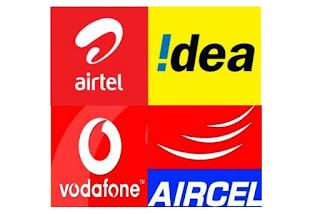 This four mobile operators are so popular in India and their rank is airtel(1st),vodafone(2nd),idea(3rd) and aircel or bsnl struggle to get 4th position all over India. Give here some best mobile operator's full & extra talktime top ups. *Every Top ups validity Unlimited. *Every Top ups validity NA.